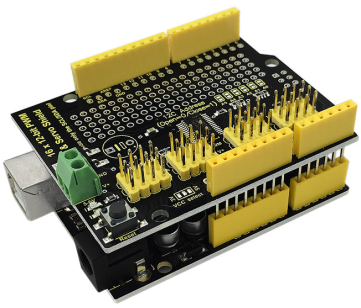 When we are doing robot experiments, it needs to use multiple PWM ports to drive the servo motor, however, the commonly-used Arduino UNO R3 only has 6 PWM ports, really not enough. 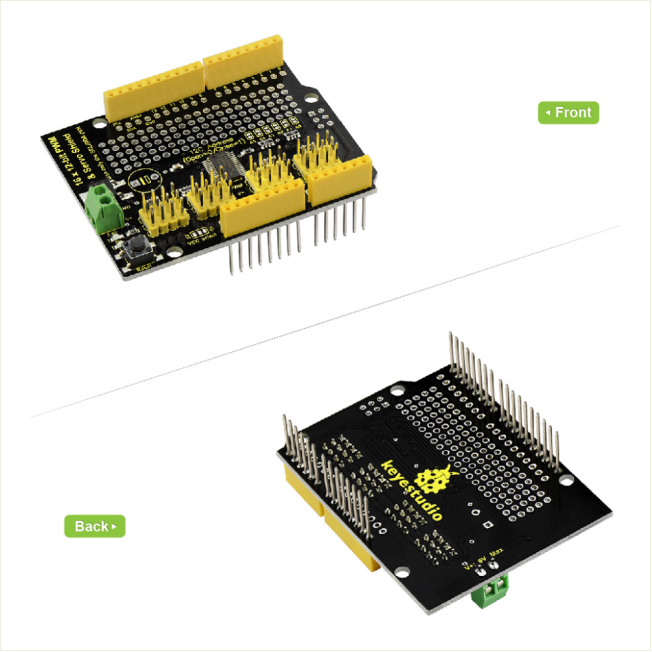 This allows you to use this expansion board, which is directly stacked on the Arduino UNO R3 board. 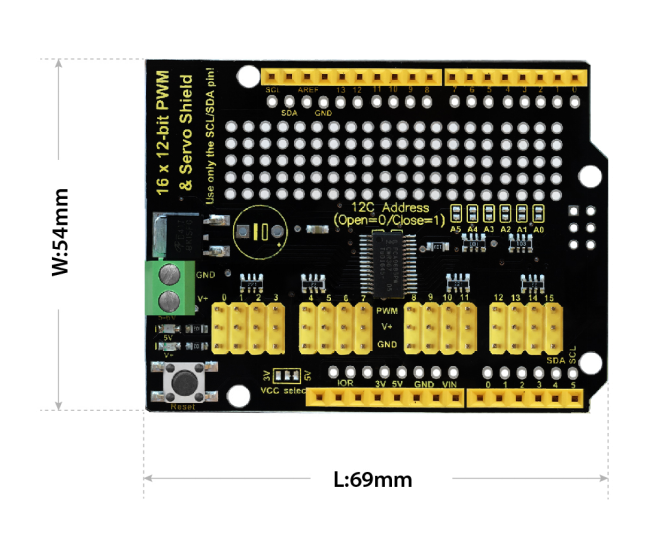 It can drive up to 16 servos and use I2C input, occupying A4 and A5 pins of UNO. 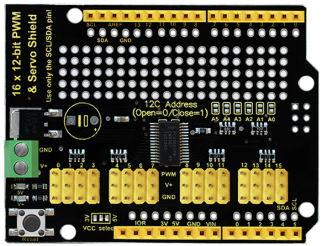 The shield also comes with PCB double-sided holes, which can be used to solder with components to build up prototyping circuits. 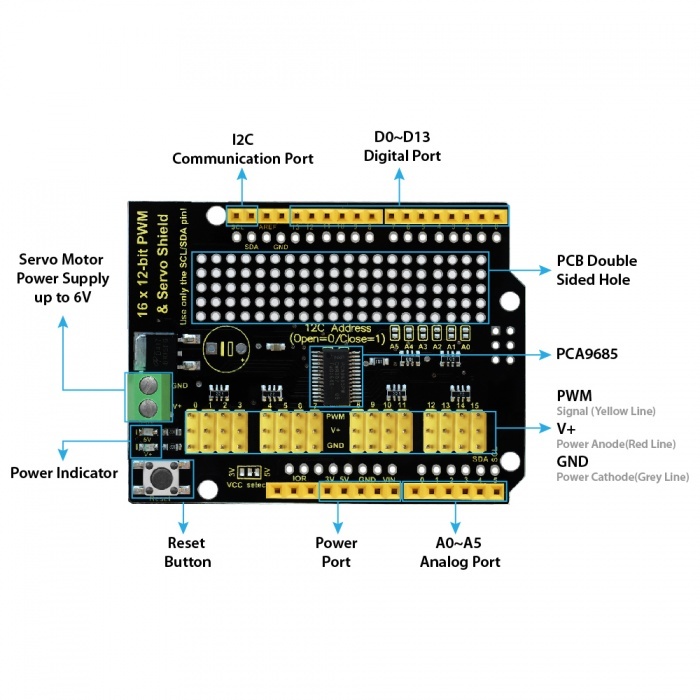 Servo power independent input V+, up to 6V. Done uploading the above code to UNO R3. 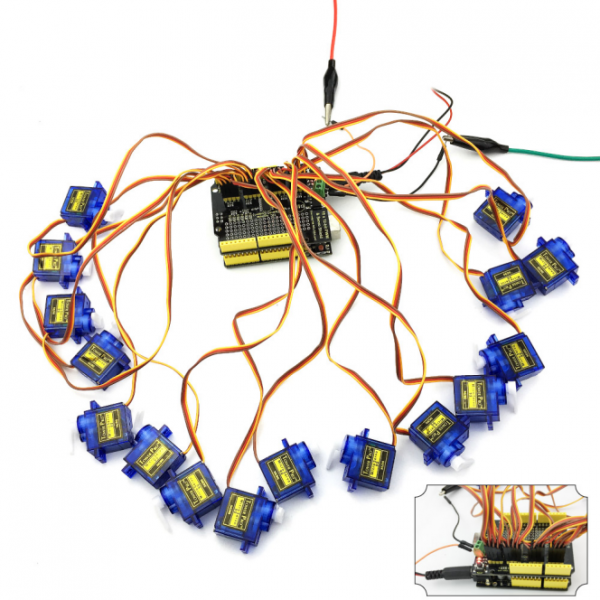 Then connect 16 servo motors shown below, finally you should see 16 servos rotate successively.